CHARLOTTE, N.C. -- Taylor Heinicke's stint as the Panthers starting quarterback was a brief one. Carolina signed Garrett Gilbert, who was with the team in training camp, on Wednesday to be Allen's backup. 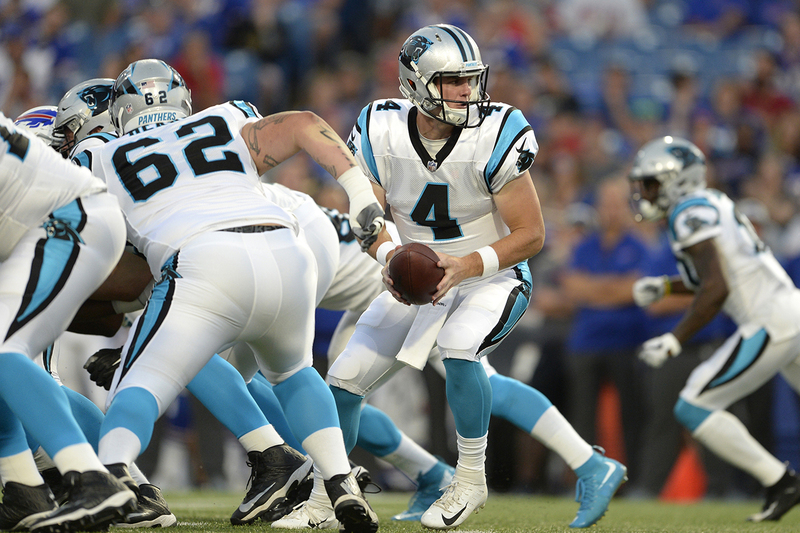 Garrett Gilbert saw action with the Panthers during the preseason. The Panthers don't want to activate Cam Newton for the season finale. Newton, who is struggling with a shoulder injury, sat out the Falcons game. "I thought he did a nice job," Rivera said of Allen's brief stint at QB. "His decision-making was good and he threw some nice balls and took pretty good control." Saints coach Sean Payton called Allen a "smart" quarterback. "He locates the ball well," Payton said. "Quickly, we're going to have to watch as much tape on him as possible." Rivera joked that Allen will need to learn that he doesn't have to walk toward to the bench to get the play calls anymore, since the NFL uses headsets. "It will be something he has to learn and get used to," Rivera said. Heinicke had an MRI on the elbow on Monday and the team decided to shut him down for the season. Heinicke wouldn't discuss specifics of the injury except to say the results "didn't look good." However, he said he won't need surgery. "Yeah, it's a bummer," Heinicke said. "But at the same time, I got to finish the game. I'm just happy I got to finish the game and I appreciate that." This week's game against the Saints appeared to be an important one at the midway point of the NFL season after New Orleans got off to a 7-1 start and Carolina began 6-2. The Saints have already clinched home-field advantage throughout the NFC playoffs, while the Panthers have lost seven straight and were eliminated from contention after last week's loss to the Falcons. With New Orleans (13-2) having nothing left to gain in the regular season there is a good chance that Teddy Bridgewater will see extensive playing time at quarterback, but Payton has not declared his plans on how much he intends to play Drew Brees and the rest of the team's starters. Panthers 33-year-old tight end Greg Olsen said his second surgery in two years on his foot went well and he still feels like he can play at a high level if the team wants him back next season. Olsen, who went on injured reserve Dec. 5, said "I still enjoy playing and I still know I can play."